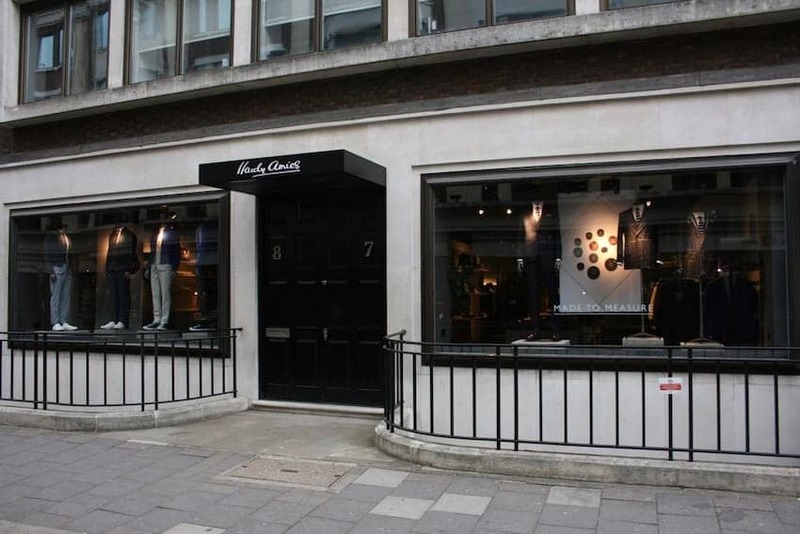 This British fashion house specializes in modern luxury menswear. Hardy Amies' first job was in fashion writing, soon becoming a designer and then setting up on Savile Row with his own couture business for men and women in 1946. With a rich heritage in society and screen costume design, Amies' clients have included Gregory Peck, David Hockney and The Queen. He staged the first ever men's ready-to-wear catwalk show. The modern Hardy Amies store on Savile Row is inspired by modern city living and sells Hardy Amies collections alongside a selection of other quality crafted goods.